A two lot combination, offering a private knoll-top for the construction of an exclusive residence on 1.32 acres of gently sloping terrain. 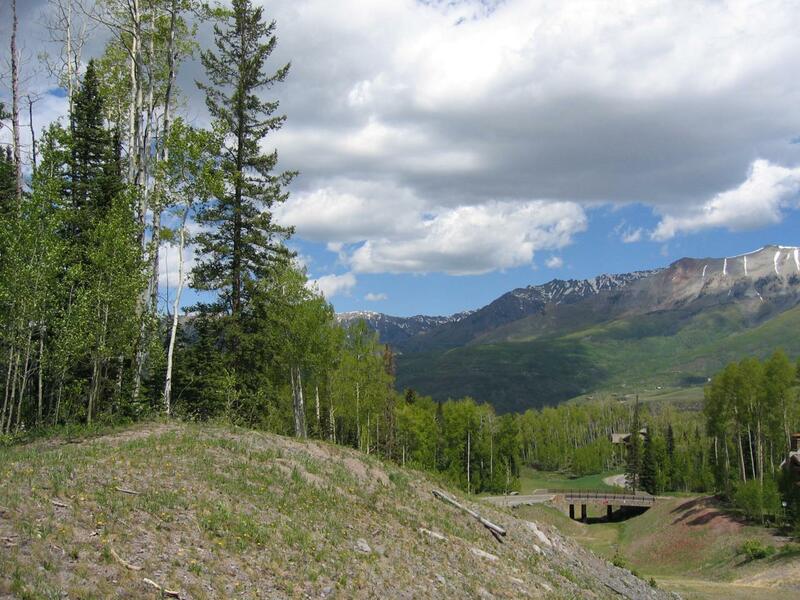 This estate parcel is an ideal setting for a family compound directly adjoining Bridges ski trail with on-grade ski in / ski out access. Bathed in all-day sun, the site is easily accessible and possesses mature, lush vegetation, yet outstanding views of the San Sophia Range. Listing provided courtesy of T.D. Smith of Telluride Real Estate Corp..
© Copyright 2019 by Telluride Association of REALTORS, Inc. ALL RIGHTS RESERVED WORLDWIDE. No part of this publication may be reproduced, adapted, translated, stored in a retrieval system or transmitted in any form or by any means, electronic, mechanical, photocopying, recording, or otherwise, without the prior written consent of the Telluride Association of REALTORS, Inc. IDX information is provided exclusively for consumers' personal, non-commercial use and may not be used for any purpose other than to identify prospective properties consumers may be interested in purchasing. Information is deemed reliable but is not guaranteed accurate by the MLS or Telluride Properties. Data last updated: 2019-04-21T09:49:18.22.